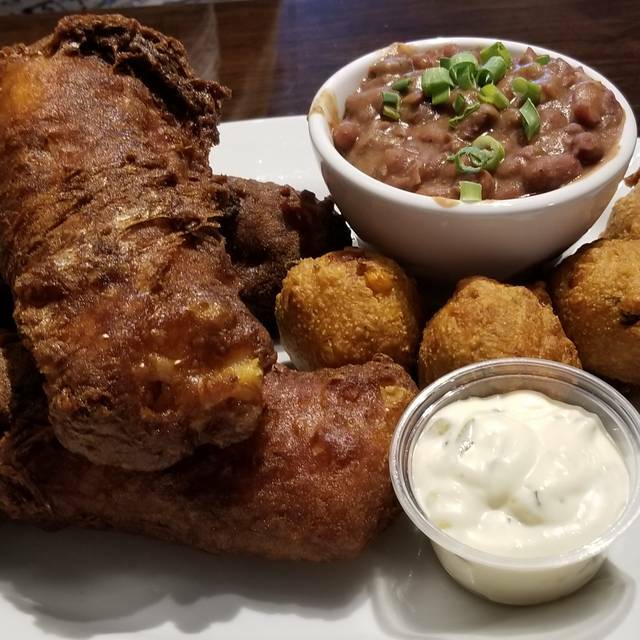 Mid-Michigan's #1 rated restaurant serving Creole Classics and an eclectic southern menu! A trip to New Orleans, close to home! Voted "Michigan's Best Fried Chicken" by Mlive. Everything made entirely from scratch! Featured in Hour Detroit Magazine, named one of the"Top 9 restaurants in the State for an Unforgettable Dining Experience!" #1 Overall Restaurant in Detroit and Eastern Michigan OpenTable, and #1 Overall Cuisine in Detroit and Eastern Michigan Opentable! Flash fried calamari lightly dressed with garlic and fresh parsley! In Cajun dialect, C'est Bon means "It's good!" 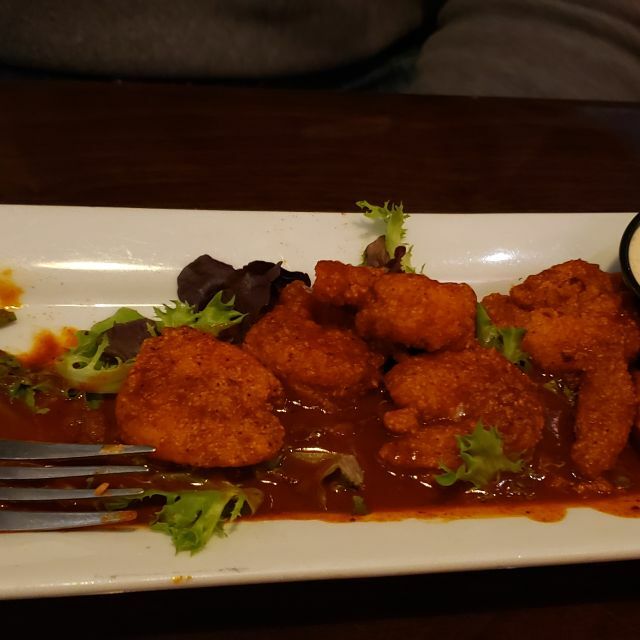 Our famous Fried chicken bites tossed in our homemade sauce piquant! 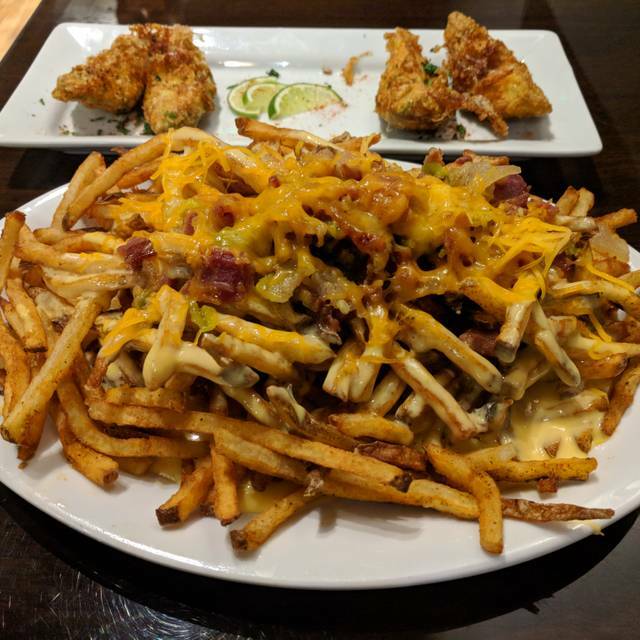 Served with Ranch or Blue Cheese dressing! Our popular fried Gator tail meat with sauce piquant is back! Housemade chips topped with Red Beans, Cheese Sauce Guacamole, Pico de Gallo, and house pickled jalapeno! Every year Morgan asks for these as her special birthday treat! Flour tortilla filled with pulled pork, guacamole and Muenster cheese, pan fried and topped with Salsa Fresca and cilantro lime mayo! Served with Fries on Our House Made French Bread! Our 8 oz. house blend beef burger, topped with roasted Hatch Green Chile and Cheddar Cheese! Smoked out back low and slow, our chopped pork is the best! Piled high on our fresh made bun with slaw and sauce! Our secret recipe fried North Atlantic Cod with American cheese, tartar sauce and lettuce on our house made roll! Slow smoked beef brisket piled high with chipotle BBQ sauce and slaw! Our deep-fried Alligator tail meat with Creole Mayo, Remoulade, house made Sriracha, lettuce and tomato! Flash fried Gulf shrimp with Creole mayo, Remoulade, a splash of house made Sriracha, and slaw! House made bacon, fresh cut lettuce, ripe tomatoes, and creole mayo! A classic Greek salad with baby lettuces, red onion, garbanzo beans, cucumber, Campari tomato, spiced beets and imported Feta cheese, tossed with our house made Greek Dressing! Fried chicken, Andouille sausage, tomatoes and okra come together deliciously in our signature Gumbo! Made with shrimp, crawfish, calamari, fresh fish and Andouille in a tomato saffron stew, with popcorn crawfish croutons! Fried Catfish or North Atlantic Cod with cilantro lime mayo and salsa fresca in grilled flour tortillas. Served with fries! Chicken Fried New York Strip! New and improved! Served with Bacon Cream Gravy and two sides! A huge portion of fried shrimp, calamari, catfish, gator, popcorn crawfish, hushpuppies and a side! Texas Style Slow Smoked Beef Brisket! This is one of our signature dishes and we're often told it's the best brisket ever! Smokes for 22 hours out back, served with 2 sides and our smoky Chipotle BBQ Sauce! The ultimate burrito filled with scrambled eggs, slow smoked Texas brisket, Chipotle BBQ sauce and cheddar cheese! 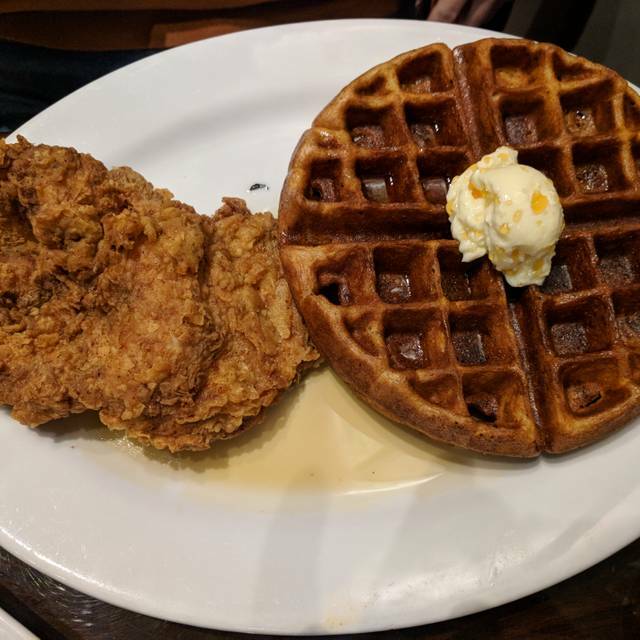 Lula's fried chicken breast with bacon cream gravy on our secret recipe waffle with local pure maple syrup! We cure and slow smoke our hams for an old time treat that's hard to beat! Served with Holiday Glaze and 2 sides! The way we cook it makes all the difference! Our 16+ oz. USDA Choice Ribeye is pan grilled in cast iron to your liking. Served with 2 sides! 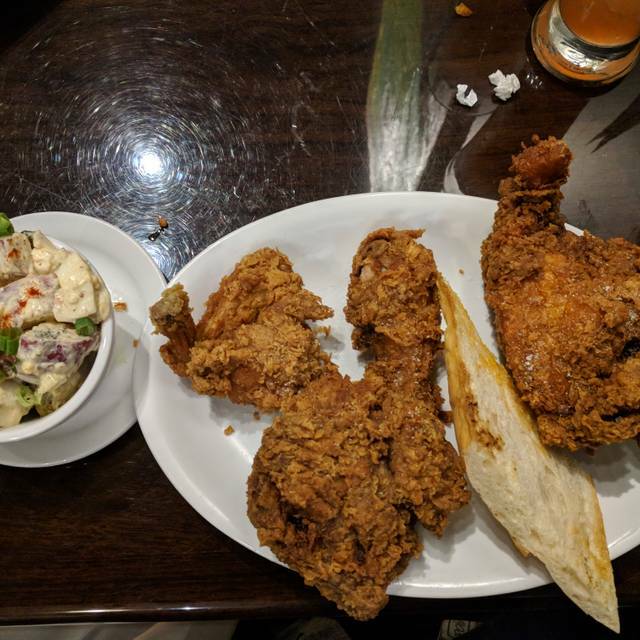 4 piece dinner of our award winning secret recipe fried chicken served with 2 sides and Lula Bread! A huge New Orleans Jambalaya feast with Ham, Bacon, Tasso, and Andouille, Shrimp, Crawfish and Chicken surrounded by fried Shrimp! A huge bowl of Creole style Jambalaya! Chicken and Andouille sausage in the "Red Creole" rice preparation that's a Louisiana tradition! Shrimp, crawfish tail meat, ham, bacon, tasso, the trinity and fresh herbs. Our second best selling menu item next to fried chicken! Our signature Key Lime Pie is fantastic! Fantastic tasting food! Brought our kids who were visiting from Chicago, and they want to come back and eat their way through the menu. Our first time in and it won’t be our last! I read the Lansing State Journal review and thought we’d make the trip from Okemos. We weren’t disappointed! The food was outstanding and we all tried something different. While we were seated in the restaurant, the bar area was full and the music rocking for a Thursday night! The menu is full of great options and is the reason I’ll head back. The bread pudding was a great finish to a great dining experience. Best southern food in the area, hands down. Pricey, but good for a special event or occasional treat. Save room for an order (or 2) of beignets! I wish they had gator, but everything they do have is homemade and absolutely delicious. We recommend Lula's to nearly everyone we meet. Great food. Great Service. Just Great! This is a great restaurant, I have dined here before, on this occasion when I arrived the restaurant was unexpectedly closed due to a plumbing issue. The great part is management called the next day to apologize, offered a gift certificate for future use and I was also rewarded my dinning points. Yes it was disappointing that they were closed, but after the fact they did all the right things to ensure I come back again and I will! Lula's consistently offers terrific food. The best Key Lime Pie I've ever had is served there. 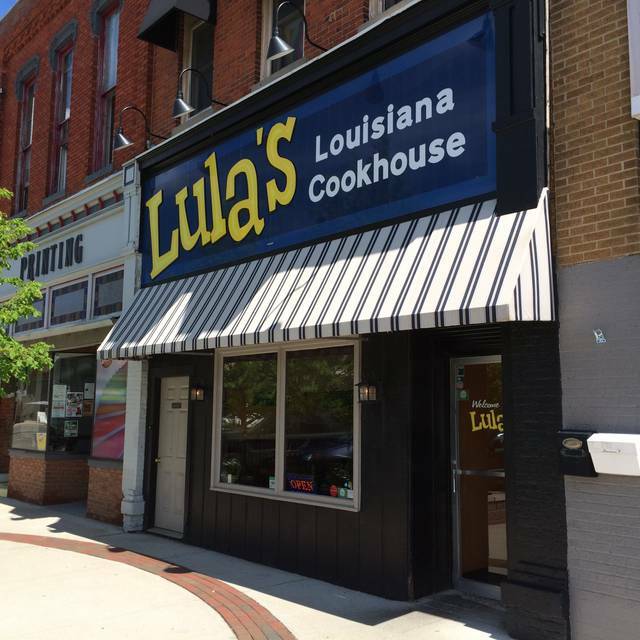 It's worth the drive to Owosso to dine at Lula's! The only issue was I made the reservation from the lily pearl website so when we arrived we found that the table was setup on the Lula side. We then had to wait awhile for a table on lily pearl side in order to enjoy the music. If there’s any way to fix the reservation process that would help as it’s confusing. Thank you so much for your input. Management will take a look at the issue. Honestly I came here with high expectations, having heard a lot of great things about Lulas and was quite disappointed. It took over 45 mins to get our food and was decent but nothing spectacular. The portions were small for the steep price. Probably won't go back. The food was wonderful and our waitress was amazing! Thank you, Wendy! We are glad you had a good time! If you going for the music make your reservation well in advance if you want to sit near the band. The food look outstanding and portioned enough to be a challenge to finish. The server was very attentive which was very nice and the food tasted amazing. We are glad you had a great time! Hope to see you again soon! The food was good, but where we were seated was awful. I made reservations a week in advance to be seated in a hallway. Not only that but we had 3 people might as well of sat down with us at our table while they looked for hot sauce. The other option for us would have been to be seated at the bar. Why did I make reservations then? The only reason I would suggest for someone to go is because of the food, but honestly not sure if it's worth it. We lovd the whole experience. The fried chicken was moist, hot, crispy and not greasy!! We also had a crawfish dish that was great. I will definitely come back - loved the ambiance and waitstaff. Thanks for the great review, Vera! We hope to see you again soon! Fun place to try Southern style cuisine. Prices have all gone up by about 3 dollars per entree over the last year. Thanks for coming out! We hope to see you again soon! Food and service amazing as usual!!! Thanks for the review! We hope to see you again soon! The food was good except for one of the meals was a little over cooked. Great atmosphere, live music. Service was slow. 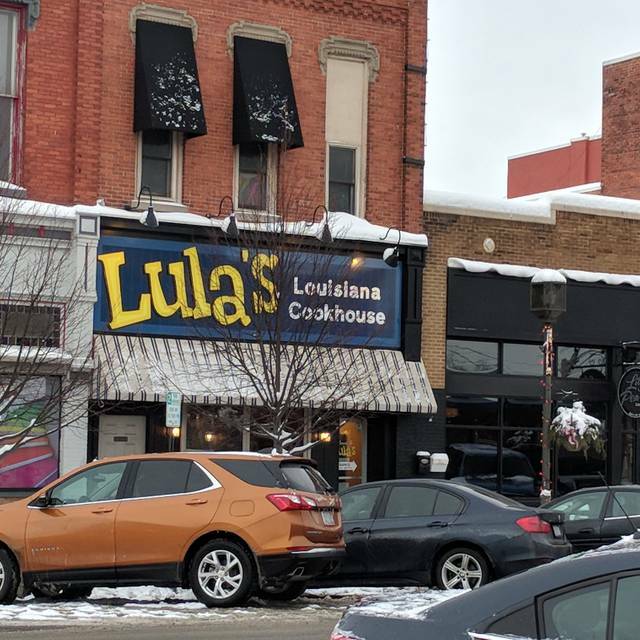 We will be going back and I would recommend Lula's to my friends. Thanks for the recommendation, Mike. Your comments are appreciated. Thanks for coming out Josh! We hope to see you again soon. Friday and Saturday night jazz are always killer! The food and atmosphere were astounding, loved it all!! We will be back very soon!! We are glad you had an awesome time! Thanks for the 5 stars! The crawfish tail entrée was good but the Cajun cream sauce lacked flavor. The guac appetizer was good and tasted fresh but the chips were closer to well done. The Lula bread had no flavor at all. We were excited to try the begneits as someone in our party had never had them... they were more like a bad doughnut hole with powedered sugar. .. thick and dense... I would never label these as begneits if you've had the real deal. Overall I felt this was overpriced for dinner compared to what I expected to have in flavor from a Louisiana themed restaurant. Little disappointed. The food was excellent. We met my son there for his birthday as Owosso is half way between our homes. This was the first time any of us had visited Lula's. All 7 of us commented on how delicious our meals tasted. I would highly recommend this place, they even have gluten free options! Thanks for the great experience. We are happy to be your halfway meeting place! Thanks so much for the glowing review! Went for Sunday brunch. I had crawfish smothered eggs Benedict and potatoes O’Brien and my partner had pancakes and eggs. Both were delicious! Thanks for coming out Robert! We are happy you two enjoyed brunch. Hope to see you again soon! Had the Cuban best ever had and I used to live in Florida . Awesome! We agree that the Cuban rocks but are super stoked to have your well versed opinion! Wonderful food and staff! Love this place! Outstanding southern cooking! Slice of Louisiana in Central Michigan! Thanks for coming out and the 5 stars, Russell! We hope to see you again soon. 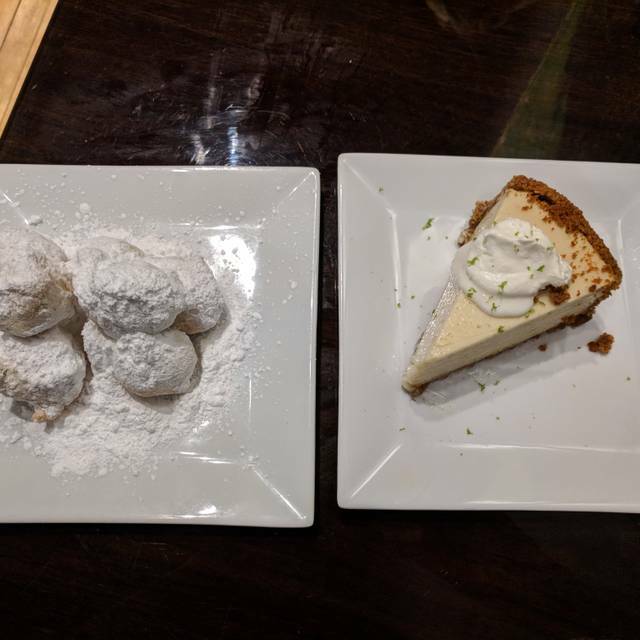 Food was awesome, service was excellent—will definitely recommend that everyone check Lula’s out. Our only disappointment was that there was no beer on tap. The food is a little pricey but worth it. I would recommend this place to anyone who like seafood. My favorite restaurant since we stumbled upon it 3 years ago. Never had a bad meal. We never leave without having etouffe, the fried chicken and the brisket are the best I've had, and I wish I could just drink the bacon cream sauce!! Amazing! Lula's is a must whenever were in the area. Wow! Thanks for the great review! Please come back soon. It was wonderful to see our old favorite waiter on his new capacity at Lula’s! We are so glad you had a great time. And yes, we are super grateful to have him work with us here! We especially enjoyed the Music of Zydeco Ziggie. And we recommended Lulas to several folks who have subsequently been there. Thanks for the review Fred. Ziggie is playing again tonight , fyi!!! Absolutely the BEST fried chicken I have ever had! 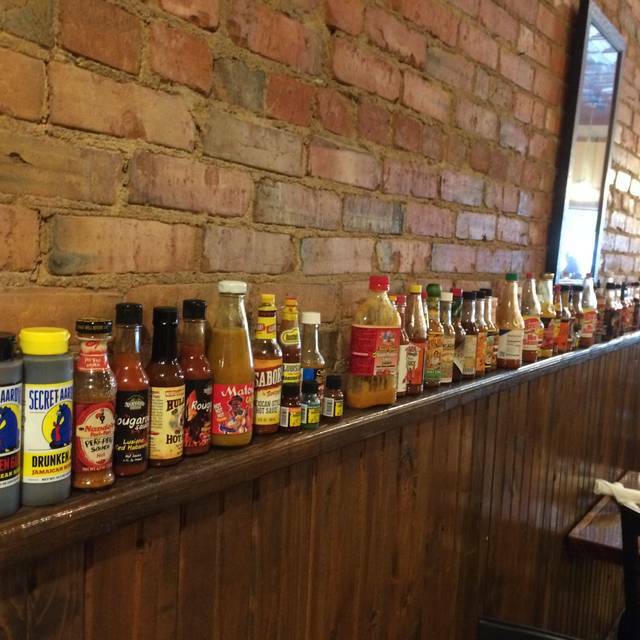 We love Lula’s- the food and the service are always great! Amazing. Food was excellent. We will be back again, for sure. We've been to Lula's many times before the expansion and the food was always wonderful. Our last visit was horrible. The server was mediocre at best. The cocktails are WAY overpriced. The fried chicken was GREASY, so greasy in fact I should have sent it back. My chicken was bathing in grease (I've had this many times and it has never ever been greasy). The shrimp in the Po' Boy was breaded in some very gritty "batter", should have sent that back too. Needless to say, we won't be back. Favorite Owosso upscale dining. My go-to for class, great food and friends. We didnt realize that the band was going to be electric... we had been there when there was acoustic music, and it was very pleasant. The band that was there was good, but way too loud for the room... and if I knew it was going to be that loud I would have requested to sit elsewhere. The food was more than delicious. Truly exceeded our expectations. We were greeted quickly, and the waitstaff knew just the right moment to check on us. Only complaint we had was the entertainment. We sat close to the band in Lily Pearls so maybe we were too close, but while we could tell the musicians were extremely talented their sound mix was very poor. All in all, we will definitely be returning and would recommend to everyone. With a wide variety on the menu (alligator to burgers), there is something for everyone. Definitely worth the drive. The cocktails were outstanding and delicious. We had two appetizers and split a salad, it was plenty of food. Did I say the cocktails were really good, worth the money spent. As always, a wonderful dinner from Lula's. The service is fast and friendly, and the food is absolutely outstanding! If you haven't been to Lula's yet, do yourself a favor and go. Very nice evening for anniversary dinner for my daughter and son-in-law. Everything was fantastic.